What’s it really like coming to grips with a new yacht? 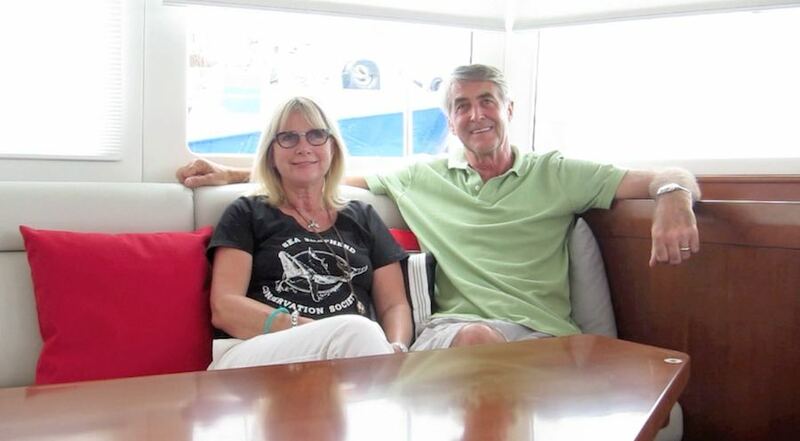 Mike and Liza Dicks have been going through the process of learning how to operate their new FPB 64, Grey Wolf. For a candid interview, watch the video below. For hi-res version, click here. This entry was posted on Friday, February 15th, 2013 at 8:57 pm and is filed under Dashew Logs, three. Both comments and pings are currently closed. That’s great. I have loved their boats for yrs. I saw one of the early sailing designs & thought that’s exactly what I want. Now that I am a bit older & don’t want to work as hard the power designs are exactly what I want. Hopefully,someday we will be getting interviewed. These boats just can’t be beat unless you only want a dock queen.